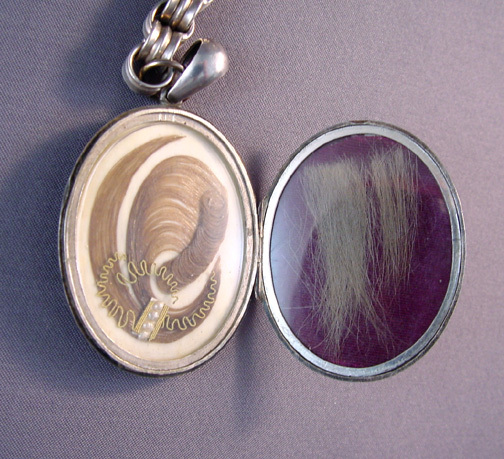 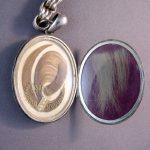 VICTORIAN sterling buckle or garter motif locket and y-chain with a lovely curl of hair and seed pearls inside the locket, circa 1880s. 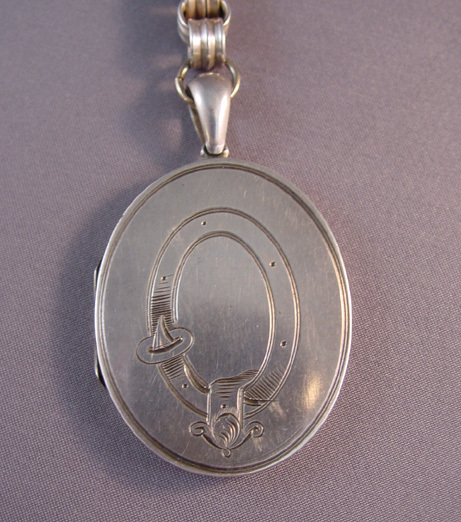 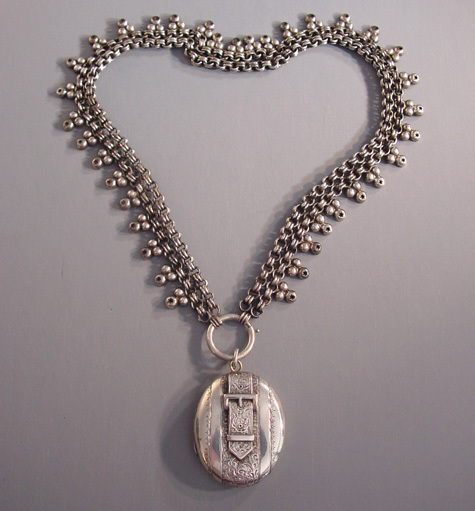 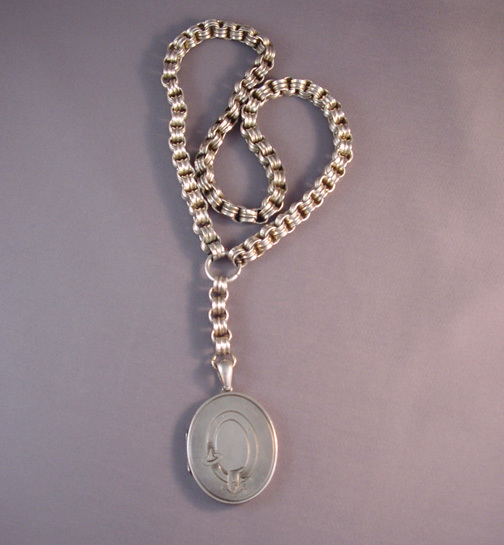 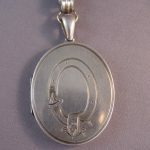 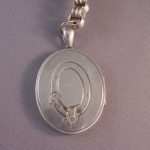 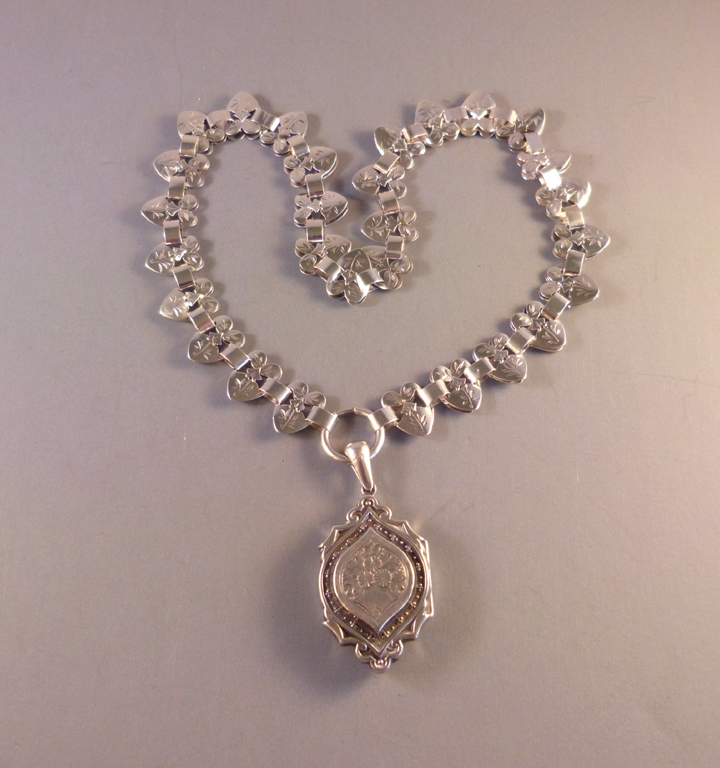 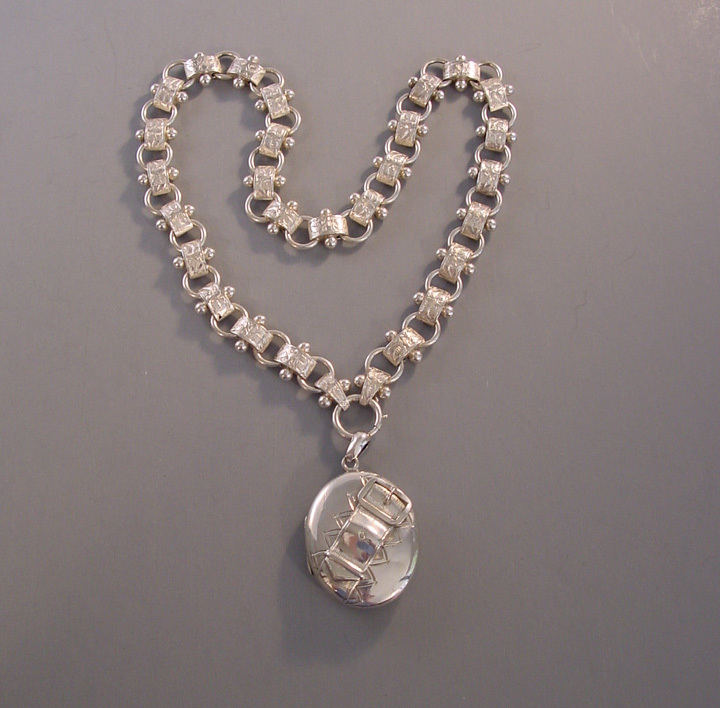 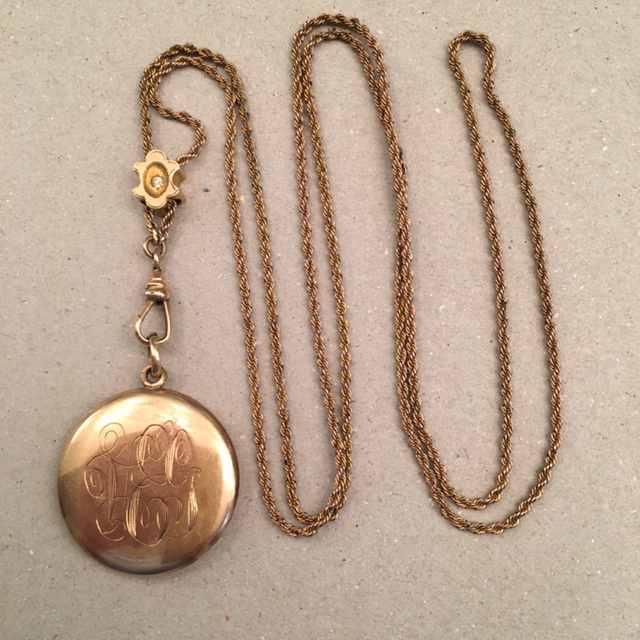 The chain is 17" wearable length with a 2" Y, and the locket 1-3/4" by 1-1/2", fittings for 2 pictures inside. 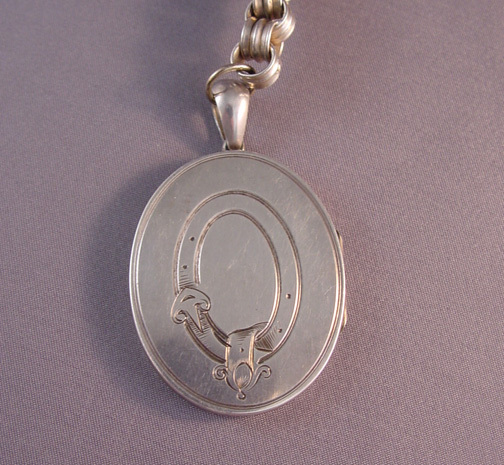 This has no marks but it tests as sterling.